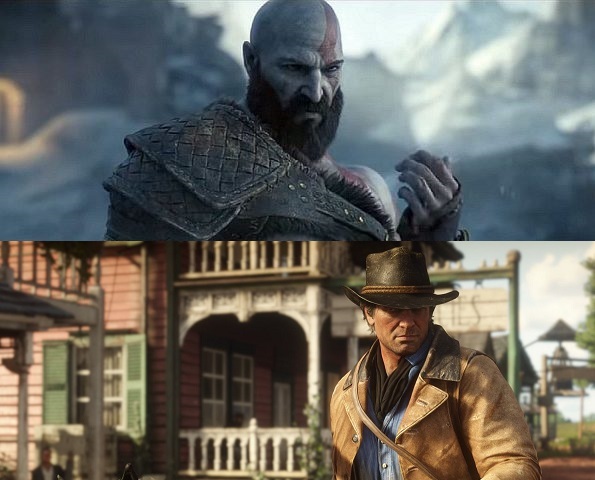 The nominations for The Game Awards have been announced and both God of War and Red Dead Redemption 2 managed eight nominations apiece. Other big names securing multiple nominations include Marvel’s Spider-Man with seven, Fortnite with four, Assassin’s Creed Odyssey with four, and Celeste with four. The awards will be handed out on December 6 at the Microsoft Theater in Los Angeles. The Game Awards has released its list of nominated games for this year and God of War and Red Dead Redemption 2 have topped the pile, with eight nominations each. Marvel’s Spider-Man managed a decent haul of seven nominations, while titles like Fortnite, Monster Hunter: World, Celeste, Detroit: Become Human and Assassin’s Creed Odyssey also bagged more than one nomination. Some very strong titles appear in the Game of the Year category: Assassin’s Creed Odyssey, Celeste, God of War, Marvel’s Spider-Man, Monster Hunter: World and Red Dead Redemption 2. If you take into account the incredible reception Red Dead Redemption 2 has received, in both terms of appraisal and sales, then it would seem the most likely front-runner for that particular award. Unsurprisingly, Fortnite will compete against PUBG Mobile and others for the title of Best Mobile Game, and it also challenges giants like Overwatch and Destiny 2: Forsaken for Best Ongoing Game. There are seven awards specifically for Esports, further demonstrating the increasing importance of this sector in the gaming industry as a whole. Arguably the biggest winner in 2017 was Nintendo’s The Legend of Zelda: Breath of the Wild. It was one of three titles to take home three awards (along with Hellblade: Senua’s Sacrifice and Cuphead), including the prestigious Game of the Year title. But it will likely be a quiet year this time for the big N, with Sony dominating the nominations in 2018. You can vote for your favorite game here.